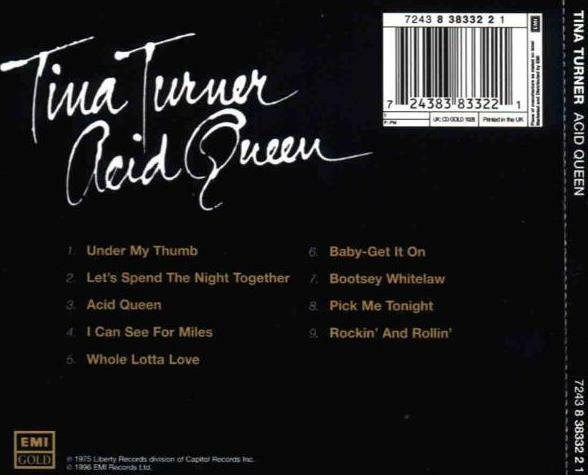 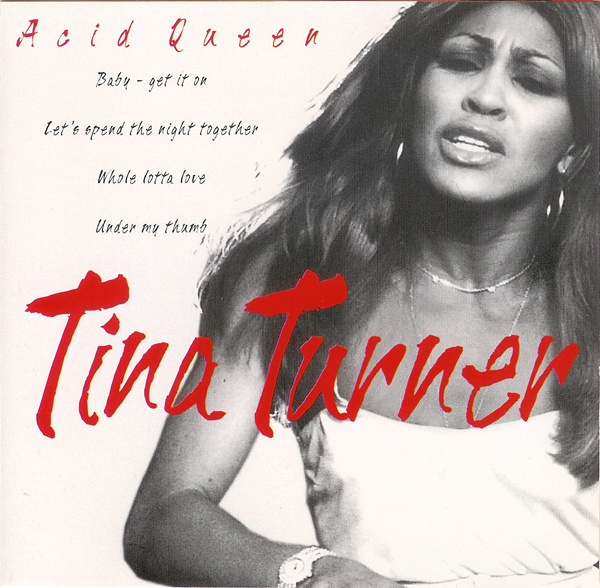 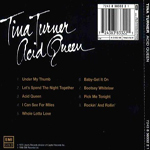 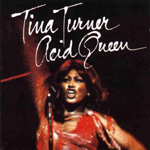 Acid Queen is Tina Turner's second solo album, released in 1975 on the EMI label in the UK, and on United Artists in the US. 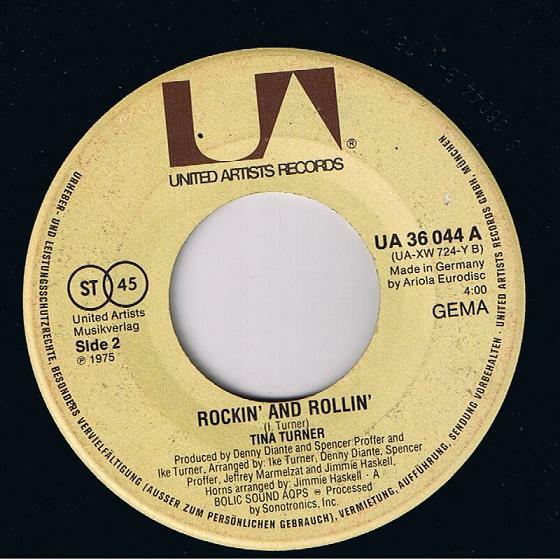 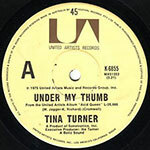 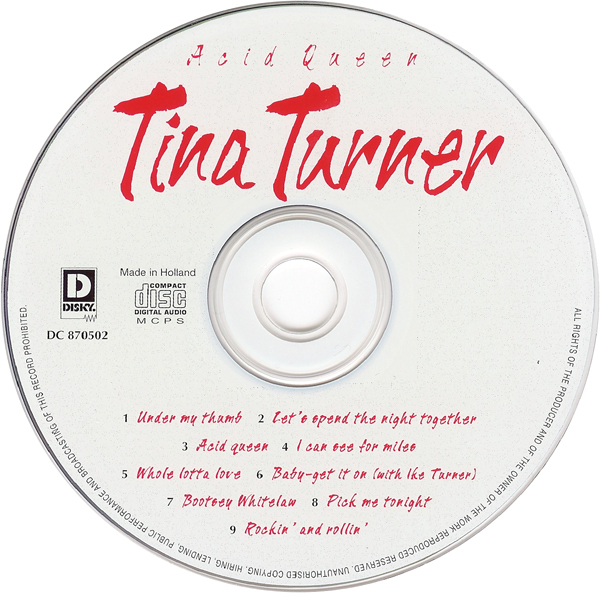 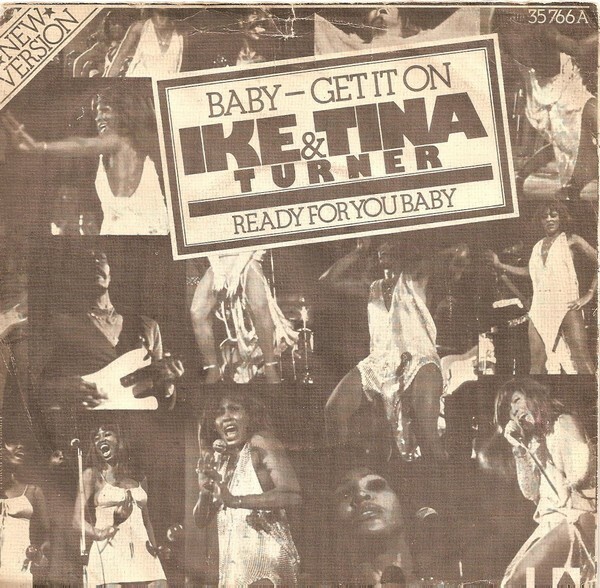 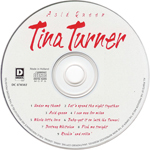 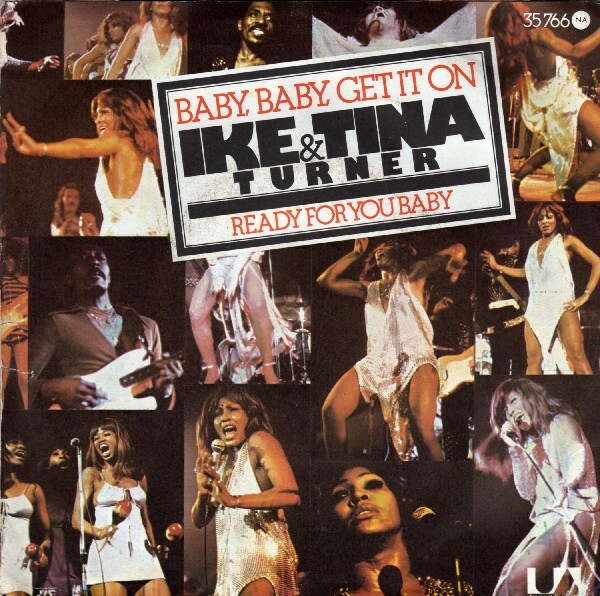 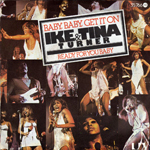 Although it is a Tina Turner solo album, the very first single, "Baby Get It On", was a duet with Ike Turner, Tina Turner's musical partner and husband at the time. 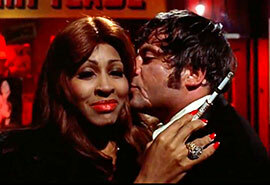 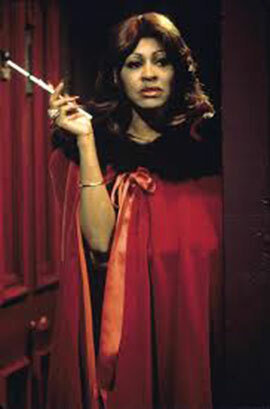 As it turned out, it was her last solo album to be released before she left Ike Turner and the Ike & Tina Turner Revue. 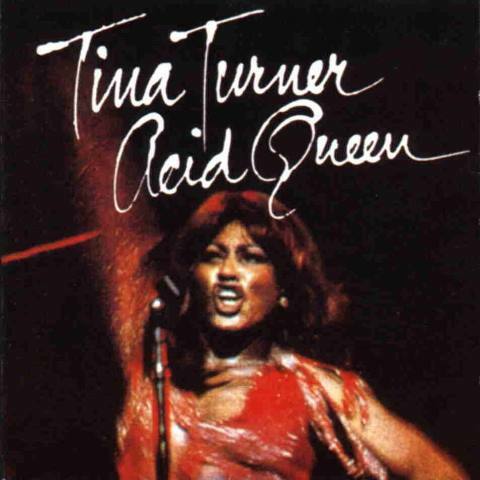 Acid Queen takes its title from Tina Turner's role in Ken Russell's film version of The Who's classic rock opera Tommy, which had also featured Elton John, Eric Clapton, Jack Nicholson, Ann-Margret, and starred Roger Daltrey. 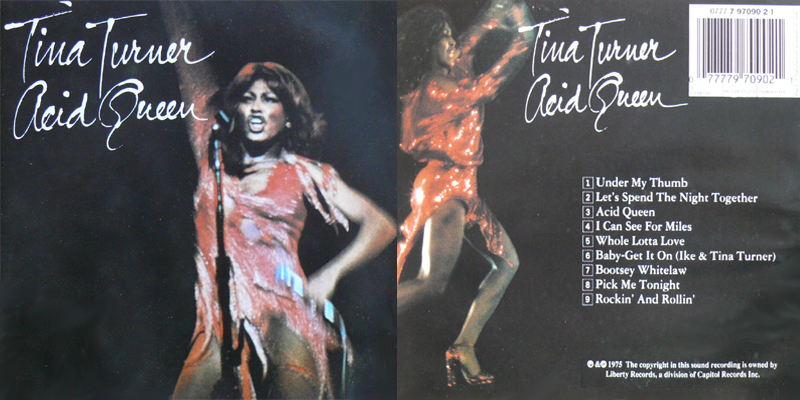 Side A of the original vinyl album consists of rock covers. Besides a re-recorded version of the title track, it also contained the Rolling Stones' "Under My Thumb" and "Let's Spend the Night Together", The Who's "I Can See For Miles" and Led Zeppelin's "Whole Lotta Love". 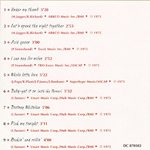 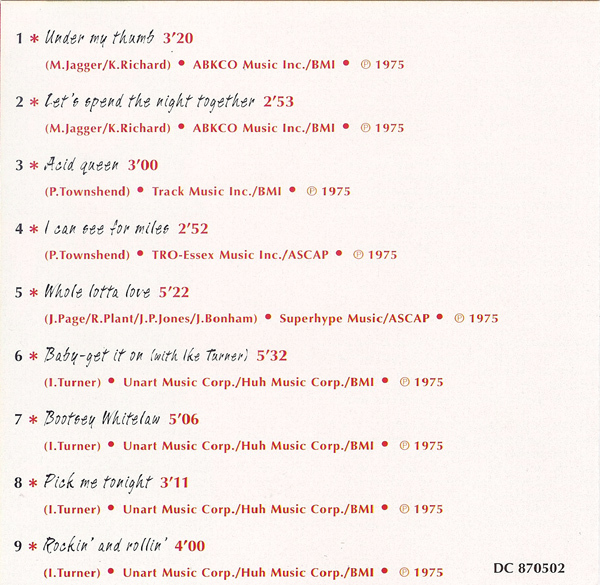 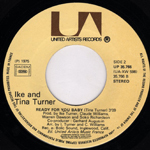 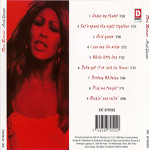 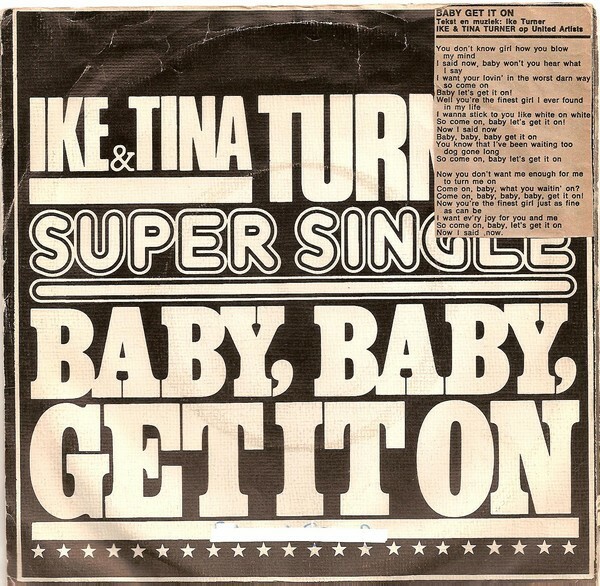 Side B was written and produced mainly by Ike and Tina Turner and includes what was to be the last moderately successful R&B single for Ike & Tina Turner, the disco-influenced "Baby Get It On" (US #88, R&B #31). 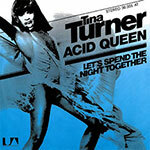 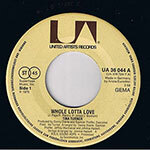 Other single releases include "Whole Lotta Love" (#61 R&B) and "Acid Queen", released in early 1976. 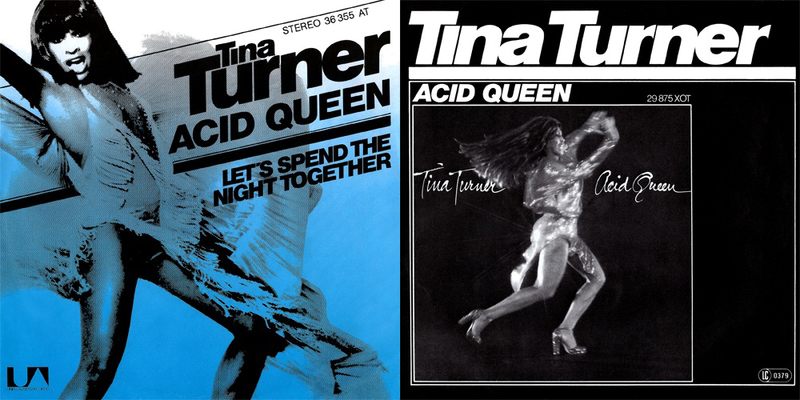 The Acid Queen album has been re-issued on both vinyl and CD with a series of different cover pictures by both EMI Music and its Dutch midprice subsidiary Disky Communications. 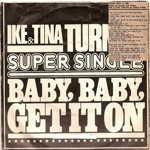 The first release of the album on CD included three "bonus" tracks taken from the 1969 Ike & Tina Turner albums The Hunter and Outta Season. 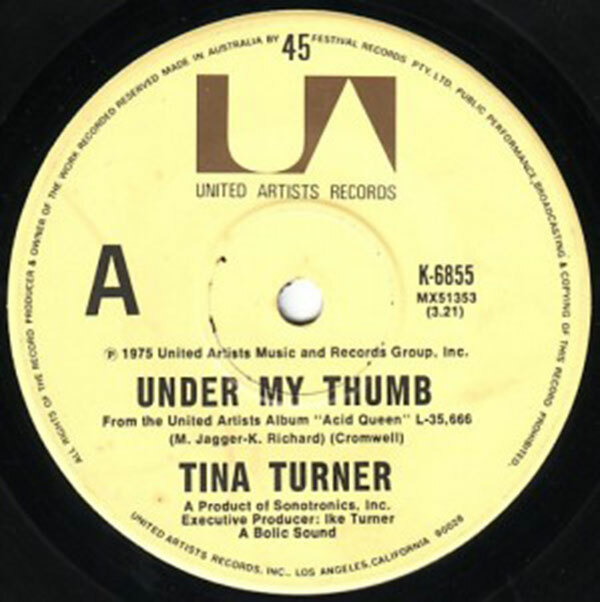 and I wonder do you ever think of me. 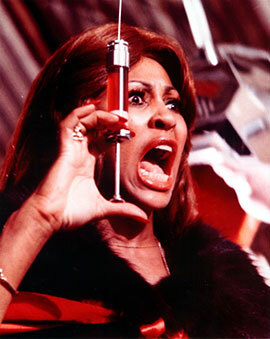 nothin in the world for me. Ike Turner – vocals on "Baby Get it On"
With its title taken from Tina Turner's role in Ken Russell's film version of the Who's classic Tommy, the singer's second solo album is a fiery workout of hard-rocking covers that, given the songs' predictability, should have been a forgettable exercise. 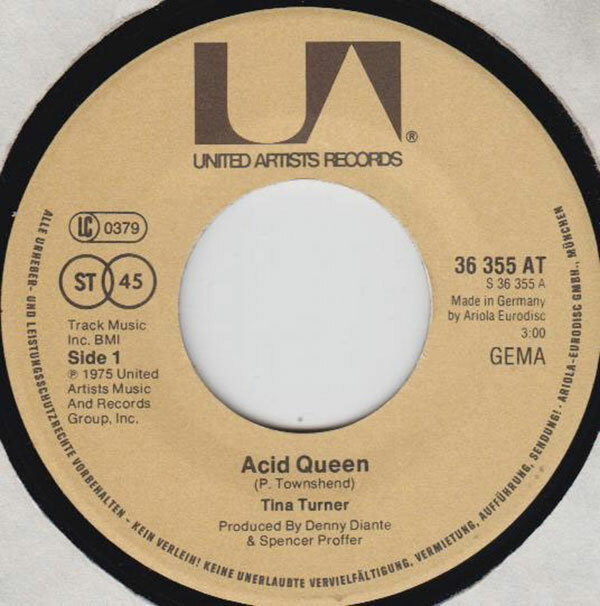 But, of course, Turner is anything but predictable, and Acid Queen is thus an immensely enjoyable affair from start to finish. 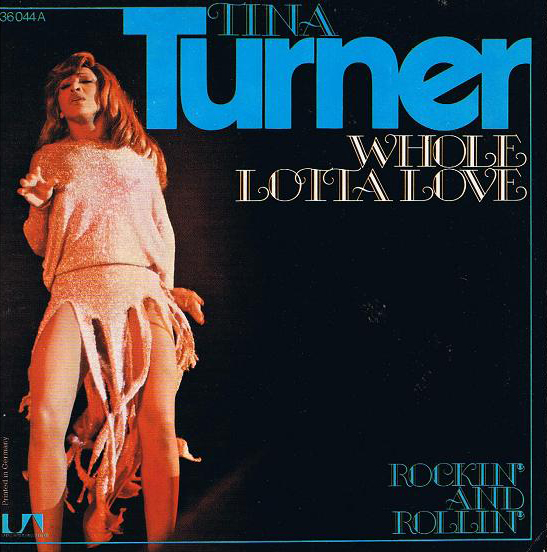 Her version of Led Zep's "Whole Lotta Love" takes the dynamics of the original and turns them upside down to deliver an affair that is on par with some of Isaac Hayes' finest moments. 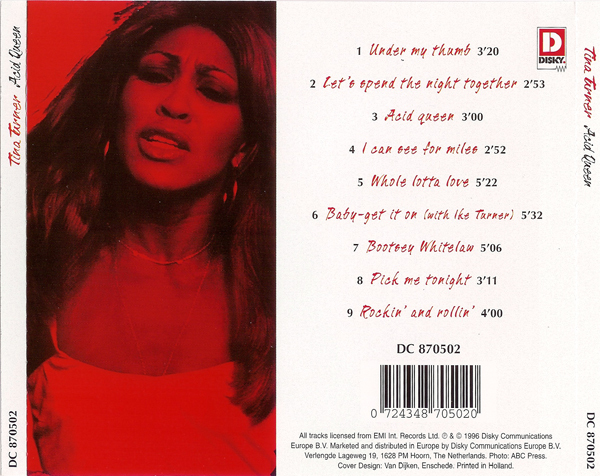 There are also a few originals, including the last big hit ("Baby Get It On") she recorded with her husband, Ike. 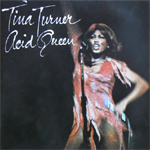 Not only did Acid Queen prove that Tina was the force to be reckoned with in the duo, it also foreshadowed the brilliant second phase of her career that lay ahead.